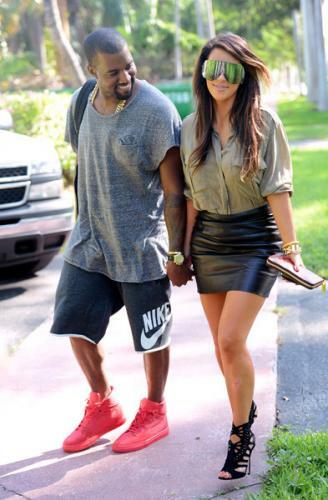 All signs point to KimYe finally taking their relationship to the next level. 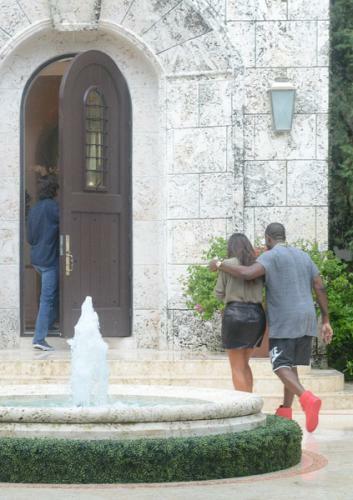 Kim Kardashian and Kanye West spent a rainy afternoon, checking out real estate for their potential new love shack in Miami. 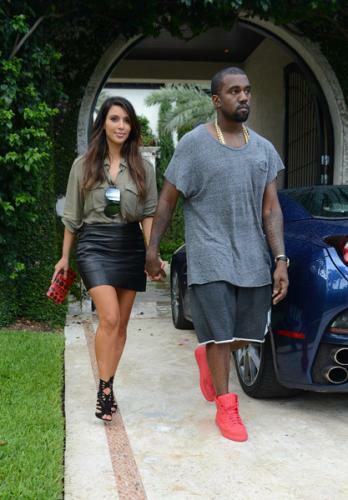 While the two are frequently seen in matching ensembles, the pair rocked opposite styles: ‘Ye in casual, gym-like attire and bright red Balenciaga sneaks while Kimmy rocked a black leather skirt and heels.